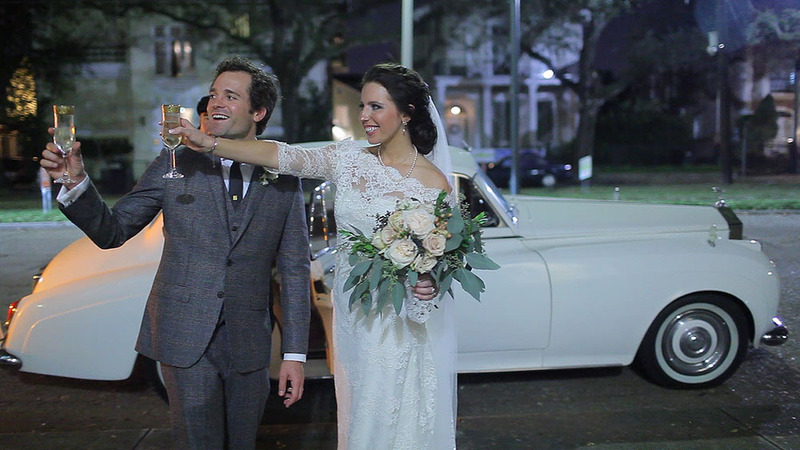 If you've never experienced a NOLA celebration, well, then let me tell you something - they do weddings right in New Orleans. Weddings are already unique amongst parties in that they are always a cheerful celebration of the joining of two circles of families, friends, and communities, and then adding the tradition of a second line just amps up the celebration level. What is a second line? A basic description would say that it is an informal parade of wedding guests lead by a live brass band through the streets of New Orleans. But those words don't do it justice, because what a second line does is something bigger. Imagine, for a minute, that it's the end of a wedding reception. You've spent the day being pampered with close friends and family, sipping mimosas, getting ready in leisure, taking portraits with everyone from your closest college friends to your great-great aunt, making sincere wedding vows, enjoying cocktails and home-style cajun cooking, and dancing the night away to live jazz, and now it's time to leave. But just because it's time to leave the wedding doesn't mean it's going to be over so soon. As you gather your things to leave, the sounds of a trumpet, tuba, and trombone are wafting through the halls to the ballroom. Suddenly, a whistle guides you to handkerchiefs, and you're dancing down the street following this band, waving your handkerchief to the beat of the music. 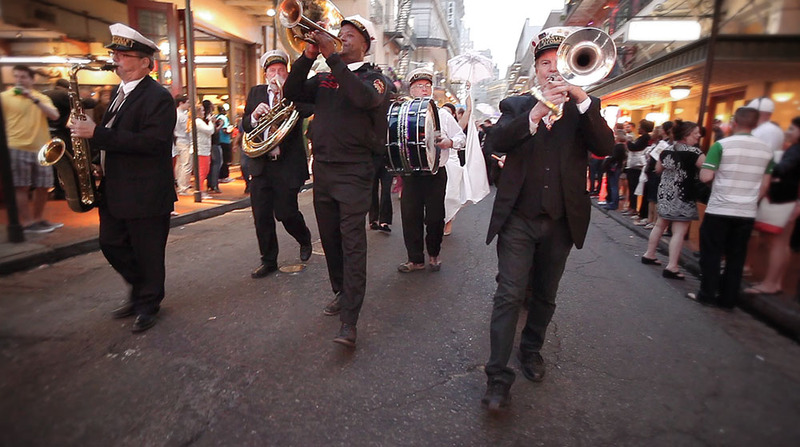 As you dance through the french quarter streets with your wedding party, other NOLA residents wave and join in to dance with you for a few minutes. Some of them will join your parade for the entire time! Half an hour later, you can't wipe the smile off of your face from the fun that you've had. Everyone you pass by cheers along with you, because everyone knows: this is special, and worth celebrating. Photographer Paul Morse. You can view his official images of the wedding here.